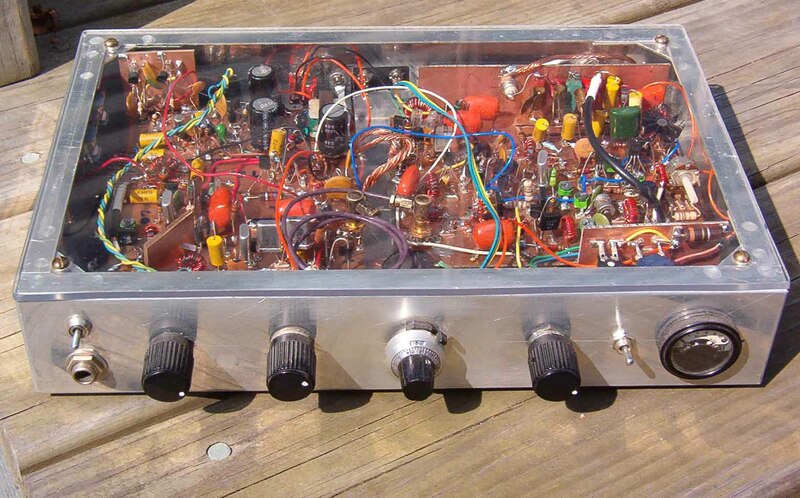 Here's the AI2Q version of K8IQY's famous 2N2/40 transceiver. 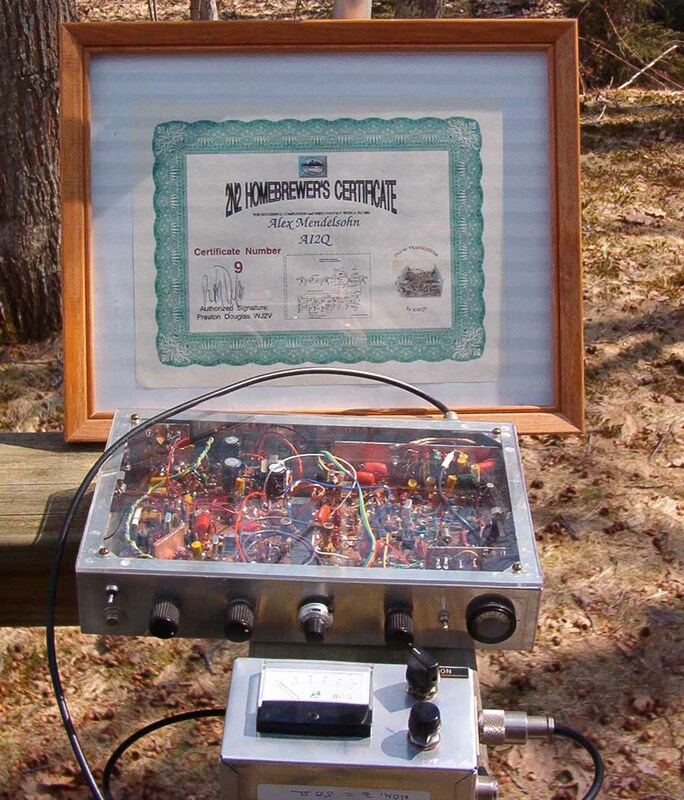 This 40-meter QRP CW rig uses 22 Type 2N2222 transistors, hence its name. No integrated circuits are used. My version includes a sidetone oscillator, for a total of 24 transistors. The small chassis in the foreground is a simple SWR indicator. The certificate attests to its existence as the ninth such rig built. Click image for a magnified view. Here's a close-up of the 2N2/40's innards and front panel. The rig includes full metering, a variable crystal filter, and vari-cap tuning. The componentry is protected by a clear Lexan cover plate. Learn more about the 2N2/40 by clicking here.